Wow! 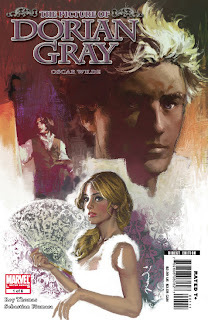 The Dorian Gray comic looks wonderful! I just searched for your name after having read about it in Intentions (an Oscar Wilde news journal, published by the Oscar Wilde Society). I think it looks wonderful! And what's even more amazing, you're one of the first people who have drawn Dorian and the rest like I like them to look! And I think your Basil looks great. Fabulous work! I will try to get my hands on this, definitely. :) (Just don't know how I'm supposed to get it in Sweden, but... whatever. I'll get it somehow. :D) Continue with your great work! Gracias por your kinds words!! Espero que todos enjoy this book!! Por mis barbas!! 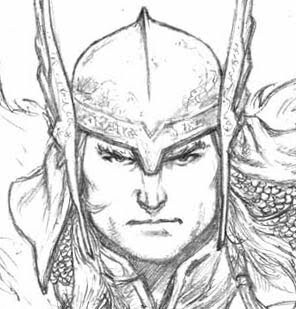 qué buenos son todos tus dibujos, mucha experiencia tenés en el comic!, voy a seguir con toda seguridad tus trabajos! impresionantes todos tus trabajos, me encantan tus dibujos!